Upon request from our client, Sweetwater Brewing Company in Atlanta, Georgia, USA, EPE sourced a pre-owned flash pasteuriser from a UK brewer. In partnership with Speedrite International and Frederick Smith Electrical, EPE coordinated the tagging, dismantle and shipping of the plant. 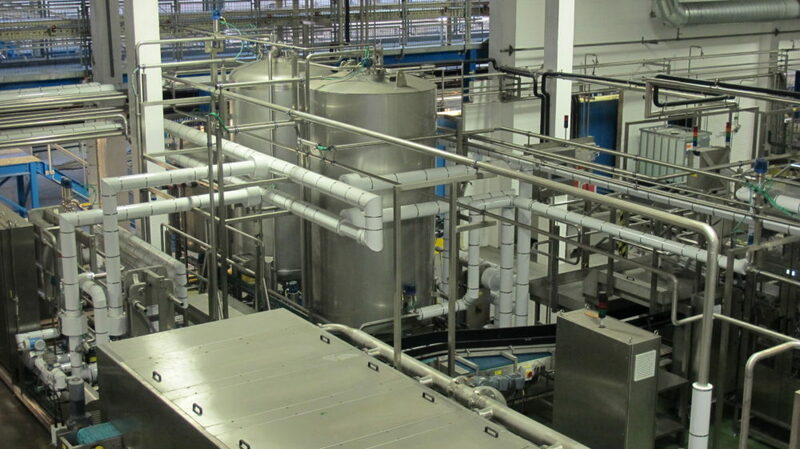 Upon the arrival of the plant in the USA, EPE was responsible for the re-installation of the plant at Sweetwater’s brewing facility. Empire Process Engineers Ltd., Cadley Hill Industrial Estate, Ryder Close, Swadlincote, DE11 9EU. Registered in England and Wales, no. 04583428. VAT no. GB558370224.